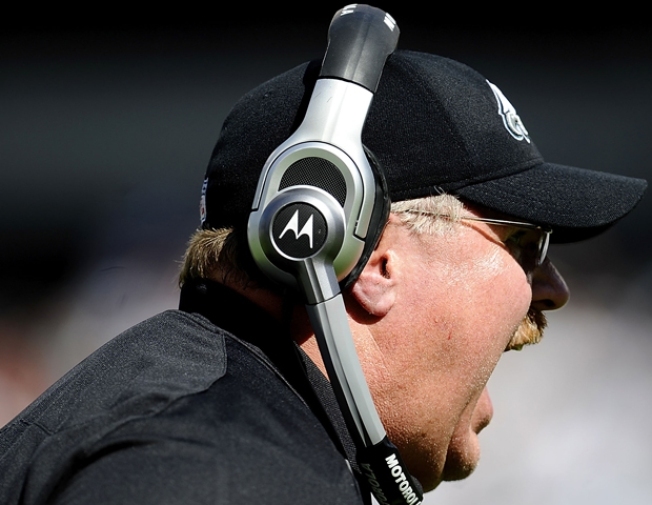 Andy Reid had plenty of chances to yell in the second half. "This is my football team and I have to make sure that they play better than that," he said after the game. The Birds played sloppy in the second half, didn’t protect the ball and flat out were outplayed Sunday as the New Orleans Saints crushed Philly 48-22. Head Coach Andy Reid summed it up best: "Obviously there were too many mistakes... it wasn't right today -- and phase of it," he said. "It was an absolutely horrible performance." The Eagles actually entered the locker room at the half only trailing 17-13. The secret weapon in the first half was the Wildcat formation. The Birds used the Wildcat about a half dozen times to keep the Saints defense off balance by opening up running room for Brian Westbrook and DeSean Jackson. The Eagles (1-1) had to feel good about themselves at the half but that quickly changed in the 3rd quarter. Ellis Hobbs fumbled the opening kickoff allowing Drew Brees an easy scoring TD. Starting QB Kevin Kolb was then intercepted on the Birds first offensive possession of the third quarter allowing the Saints to make it 31-13, virtually putting the game away just two minutes into the second half. Kolb, making his first NFL start, put up two TDs and a staggering 391 yards on 31-of-51 passing. But he was intercepted three times. It probably wouldn't have made any difference in the final result if Eagles quarterback Donovan McNabb (broken rib) was in the lineup because the Birds just didn't take care of the rock and Brees capitalized. 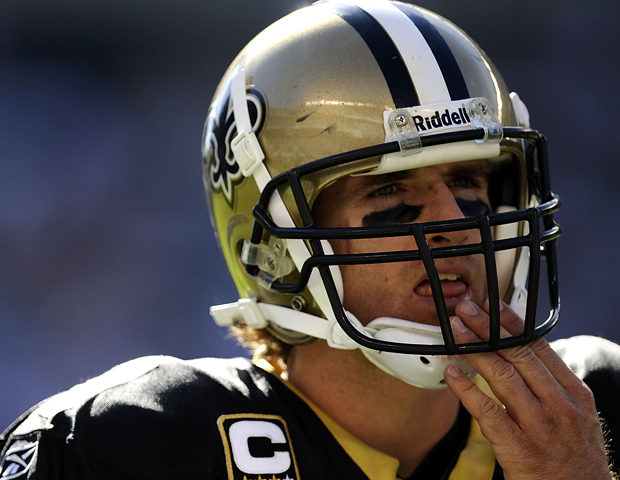 Brees was 25 of 34 for 311 yards and three scores. He was intercepted once. The possibly worse news for the Eagles was that Westbrook sprained his ankle while going for 66 total yards on 17 touches (including an incomplete pass). Head Coach Andy Reid wouldn't say how much if any time B-West would be out with the injury. "We'll find out in the next day or two," said Reid. Eagles who had big days included wideouts Jackson and Jason Avant as well as tight end Brent Celek. "Action" Jackson caught a 71-yard TD bomb on his way to 101 yards receiving and also added 15 yards on three rushes. He left the with a groin sprain, according to Reid. Avant caught seven balls for 79 yards and a score. Celek caught a team-high eight passes for 104 yards. The big tight end was tough to tackle often gaining extra yards at the end of the play. Head Coach Andy Reid couldn't be happy with even penalties for 45 yards for his Birds while the Saints were only charged with three penalties for 13 yards. Next up for the Birds will be the Kansas City Chiefs next Sunday at 1 p.m.